There are few things better than spending an afternoon relaxing in your backyard, listening to the sweet serenade of chirping birds and enjoying the scent of freshly-bloomed flowers. However, according to Yale-led research published in The Nature of Americans National Report, while spending time in nature is essential for our overall health and wellbeing, Americans spend under five hours a week outdoors. 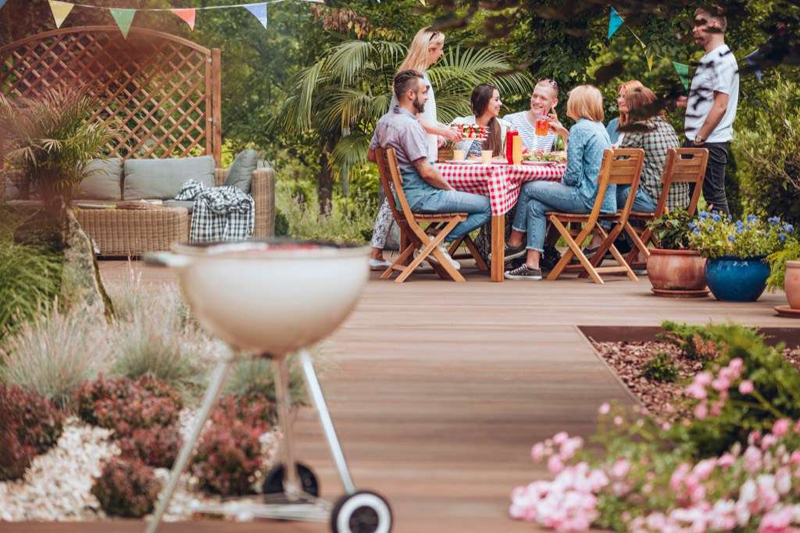 Though, for many people, it’s a busy schedule that keeps them from enjoying the great outdoors, for others, it’s their unsightly back yards that make spending time in nature a less-than-appealing prospect. And considering that a contractor-led complete backyard makeover can cost thousands of dollars, it’s no wonder many people would rather simply stay indoors. Fortunately, there’s an easy, two-word solution: Go outside. "Our home lives shouldn’t be limited to inside. For a healthier, more balanced lifestyle, it behooves us to 'bring it outside' and extend the enjoyment of our homes, friends, and families to the outermost permitters of our property," says designer Gwen Snyder Siegal of The Nest Design. "Think of outdoor home improvements as being just as important as any other renovation because it beckons us outdoors. Even in the doing of yard work, landscaping, and other exterior home improvements, we are living a healthier lifestyle—getting fresh air and exercise and possibly some quality time with our spouses or kids. And the fruits of our labor will be savored by all as we enjoy that al fresco meal at sunset or that morning coffee overlooking our beautiful lawn and garden." 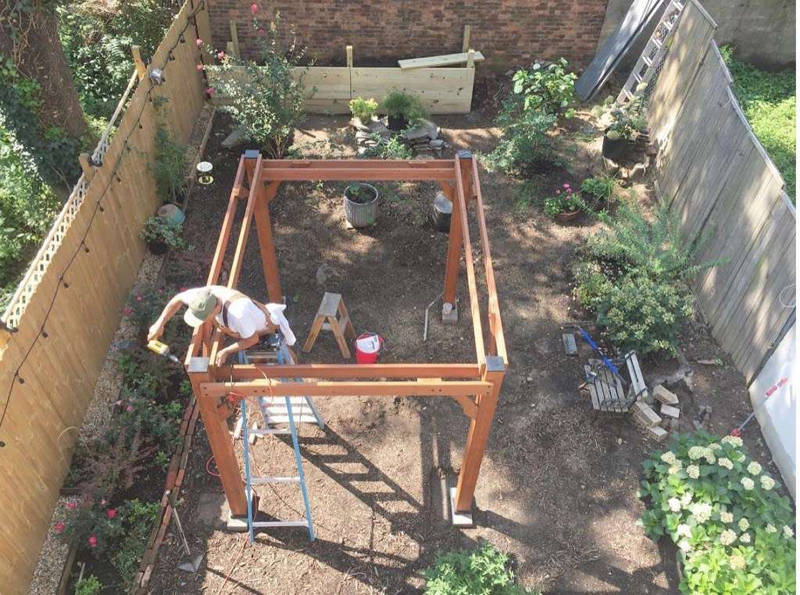 Adding a pergola to your back yard can not only create some defined seating space, it can actually make your yard look larger. Unlike traditional canopies and gazebos, pergolas offer the intimate feel of an enclosed space, but their open top and sides mean you won’t have to sacrifice the view. While taking down that dead tree in your yard may have left you with an unsightly stump, it’s time to make lemonade from those lemons. 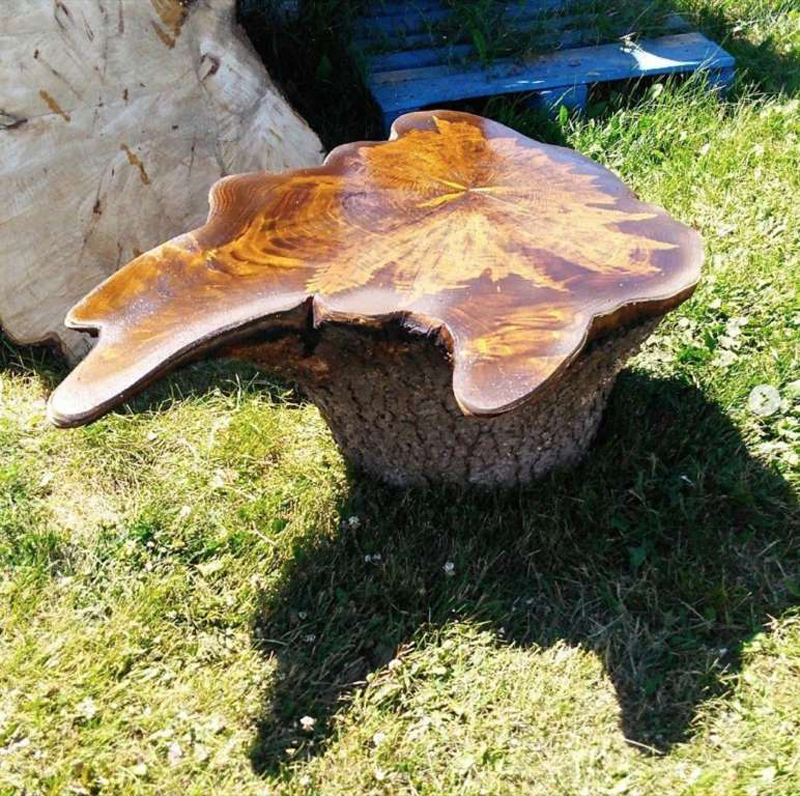 Painting or shellacking the top of the stump can help you turn it into an easy DIY table, and if you want to make it bigger, you can always have a piece of circular wood cut and bolt it to the top. Who says that your yard can’t be an all-season area? 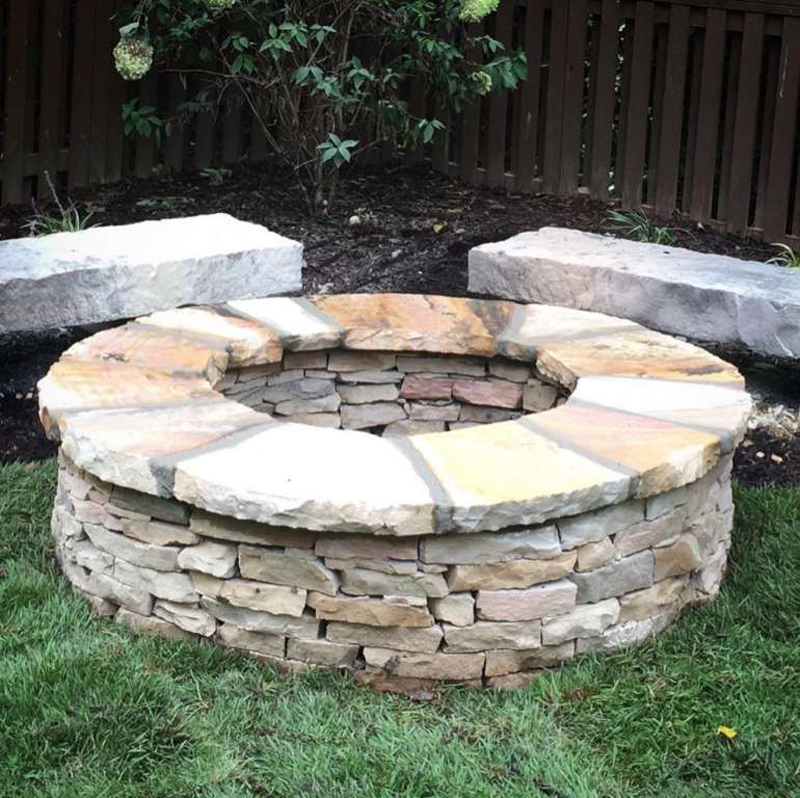 Designate an area for a fire pit by using some stone pavers as the base and fill in gaps with paver sand. Next, create a ring around the exterior using pavers in a complementary shape (mortaring between them, if you so desire), and voila! You’ve got the perfect space to gather around for s’mores and ghost stories. Of course, if you’re not the crafty type, you can always purchase an inexpensive alternative at your local home improvement store. While a lush garden may look nice, those dense plants can make it hard to move through the space with ease. If you want to make your garden more walkable, install a path using pavers available at any home improvement store. Simply decide where you want them to go, dig out the earth underneath, and, once they’re in place, secure them with a few good thumps with a rubber mallet. 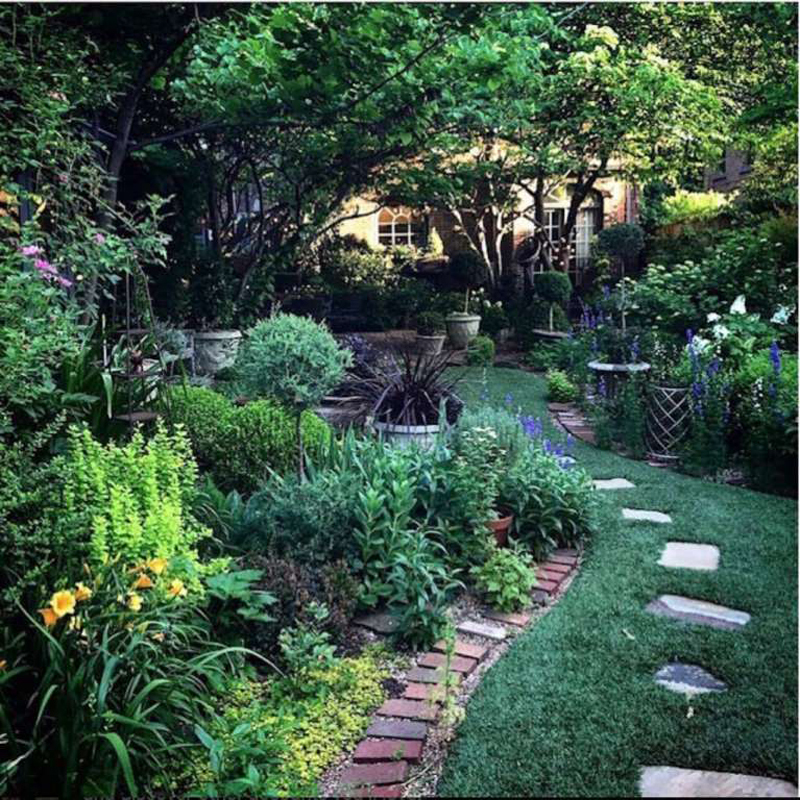 The edges of a yard tend to be their most-neglected areas, and often where weeds crop up first. 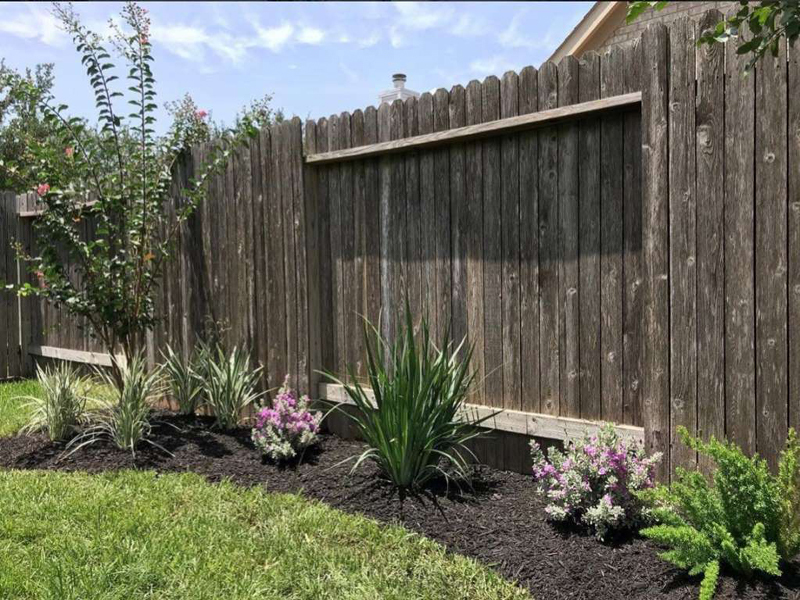 To add some visual appeal to these often-unsightly areas, create a flower border along your fence. Since the edges of your yard are unlikely to get the same amount of sunlight all the way around, opt for some low light perennials, like hydrangeas or ferns. If your old bike—the one with the slipping chain and busted tires—is doing little more than gathering dust in your basement, try repurposing it as pretty planter. 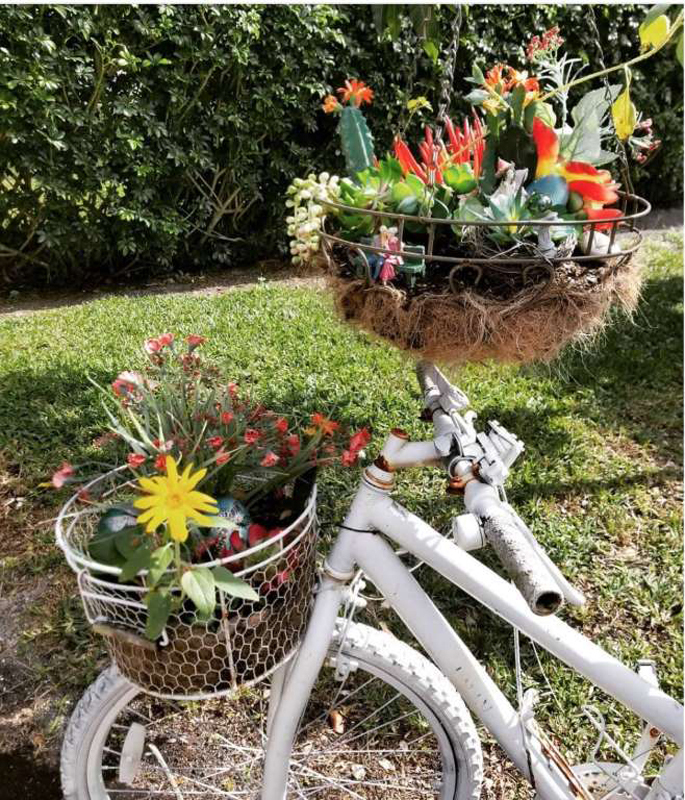 Give the bike a coat of paint, fill its front basket with soil and flowers, remove the seat and replace it with a lined crate, and fill the crate with some low-maintenance plants for an unexpected design detail your guests will love. There are few things that make a yard look worse than clutter. And for many families, especially those with young kids, it can feel virtually impossible to find places to hide every toy. However, by investing in some storage furniture, like trunks and storage ottomans, you can quickly make your outdoor space more serene. This also a handy tip for anyone who wants to disguise less-attractive features on their home—there’s nothing like an ivy-covered trellis against the side of a building to distract the eye from the sub-par paint job underneath. One of the greatest joys of having outdoor space is being able to relax with a drink in your yard at the end of a long day. 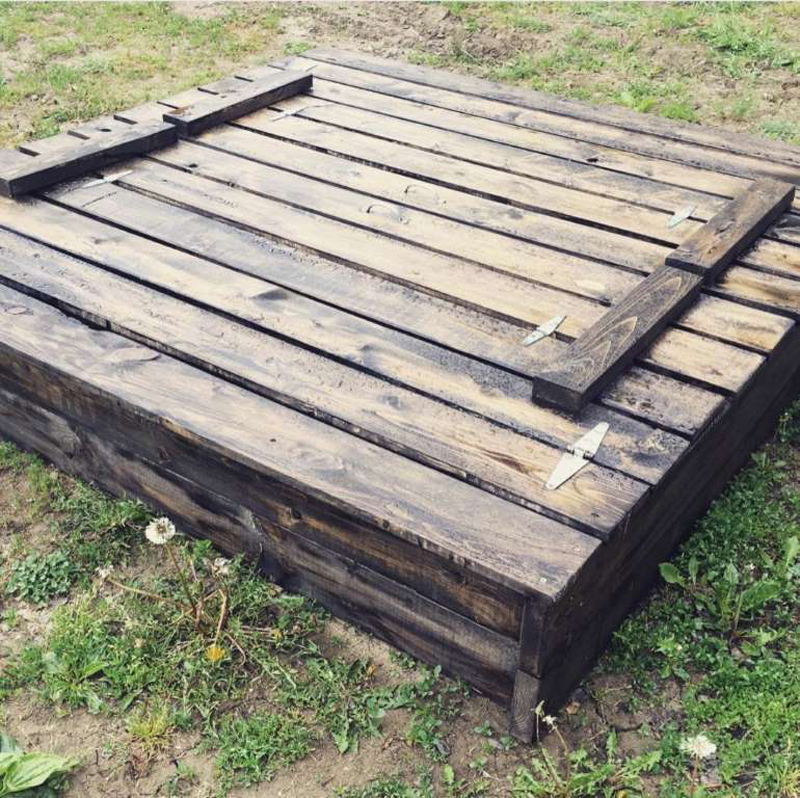 And while tiki bars have their place (namely, the 1970s), you can build a less-dated alternative using wood from old pallets instead. 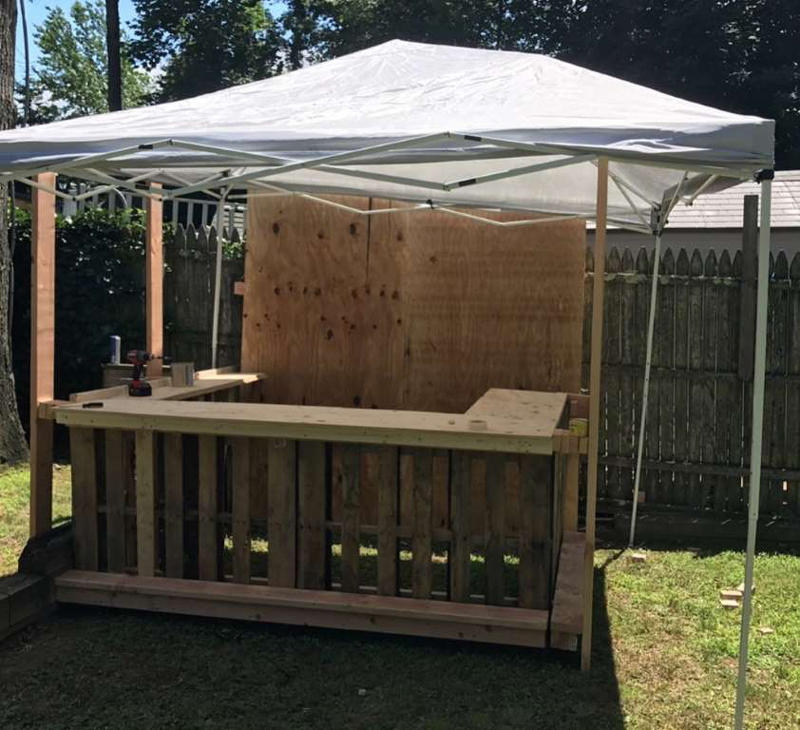 Using three pallets for the bar’s exterior edges and one for the top, securing all in place with screws and L-brackets, you can create an easy, inexpensive bar for your yard in under an hour. Just because your yard doesn’t have the room for a pool and you’re not exactly the kind of person to spend hard-earned cash on a cherub-adorned stone fountain doesn’t mean you can’t enjoy a peaceful water feature. 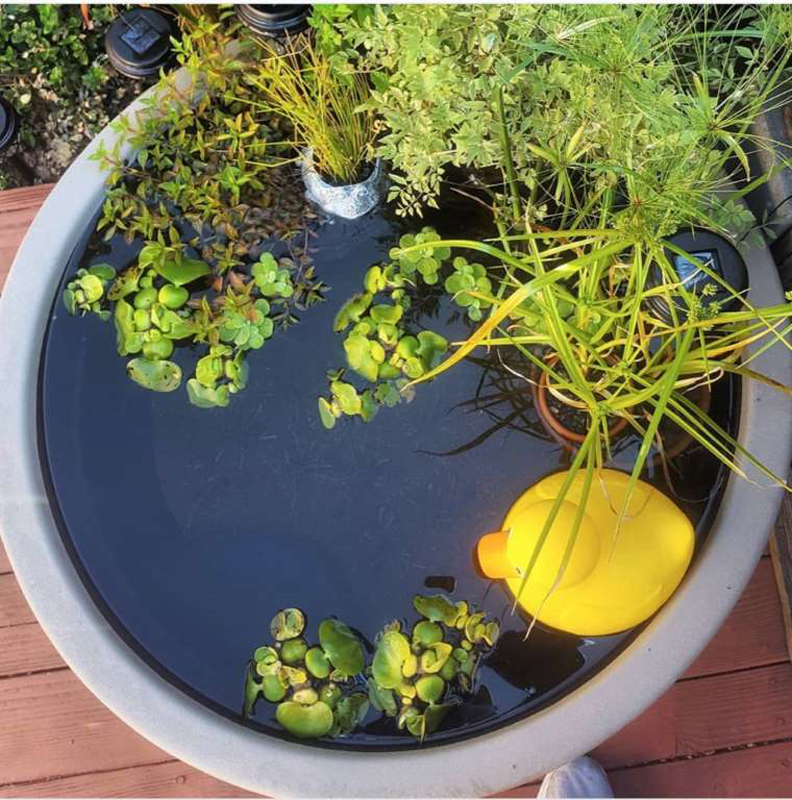 A large metal wash tub or planter can easily be transformed into a pond in no time. After covering the bottom of the basin in clean gravel or stones, fill the tub with water, and add plants that thrive on the surface of water, like frog’s bits and water lilies. That old shed may be an eyesore now, but you can easily transform it with a little paint and some elbow grease. 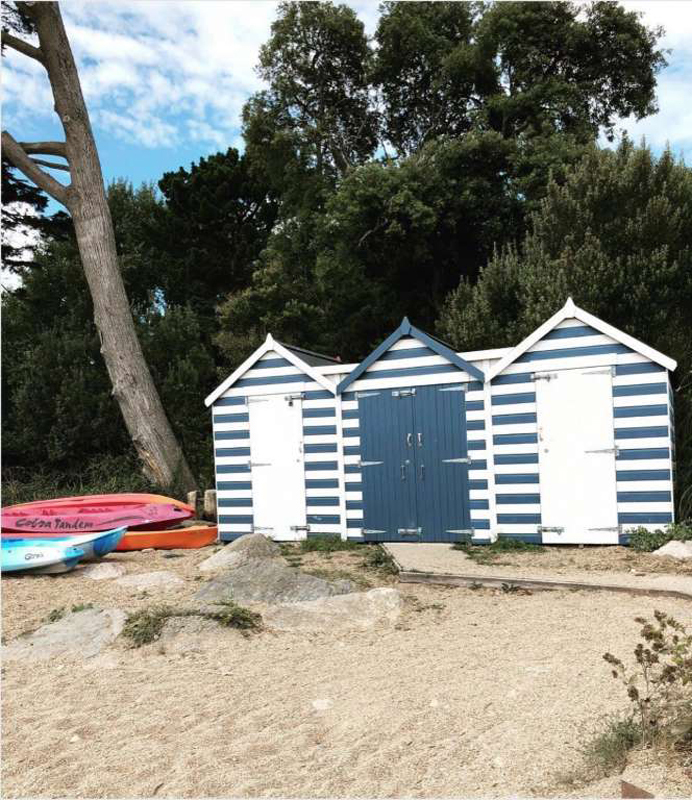 After scraping off any loose paint and cleaning your shed’s exterior with a TSP solution, paint stripes on its siding to give it a modern update. A little overhead lighting can go a long way when it comes to making your space more welcoming. 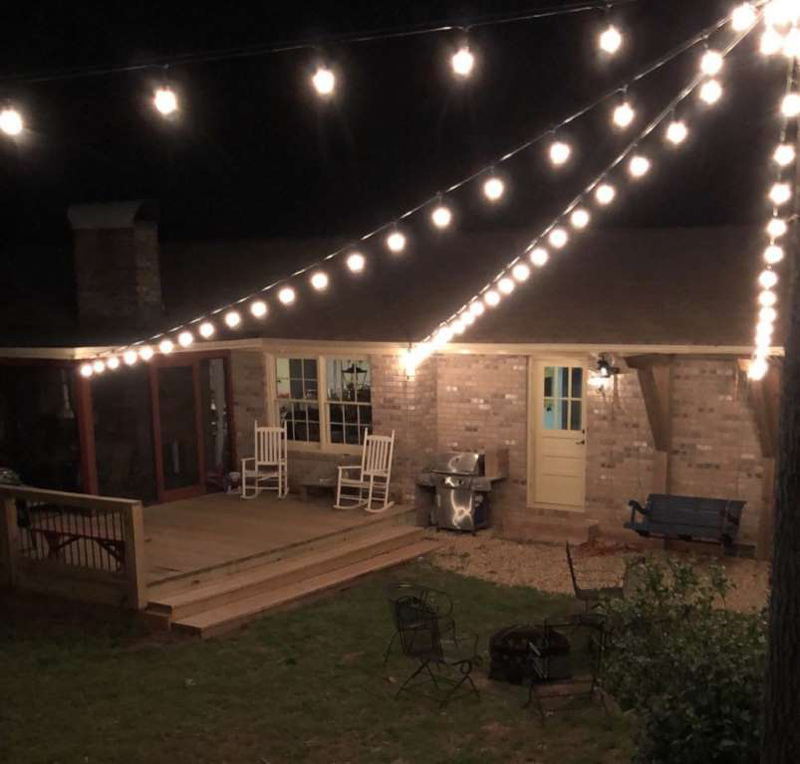 Simply string lights on your pergola or attach them between trees, making your yard usable well after the sun sets. 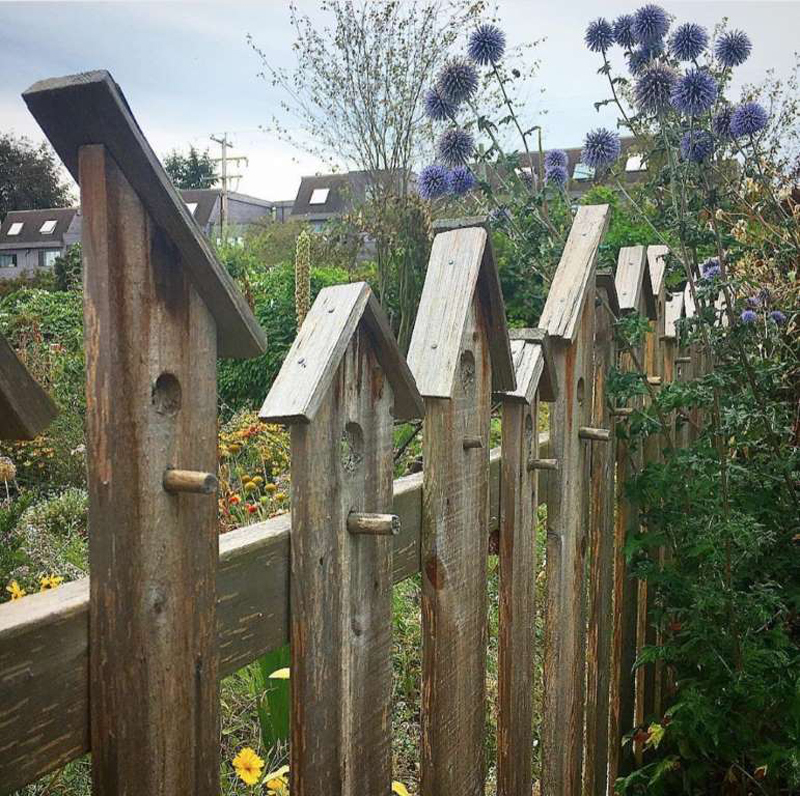 If your fence is looking a little bit worse for wear, try sprucing it up by turning some of those battered boards into birdhouses. 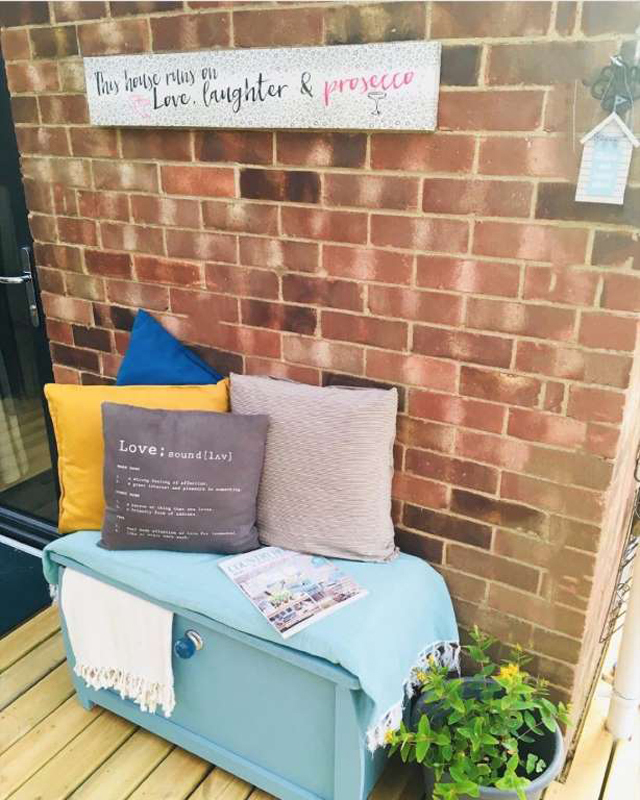 Simply drill a hole in the posts about three inches from the top, and wood glue small pieces of plywood to the top of the post to create an adorable birdhouse-inspired design. Adding endless patio chairs isn’t the only way to make your space more conducive to hosting company. 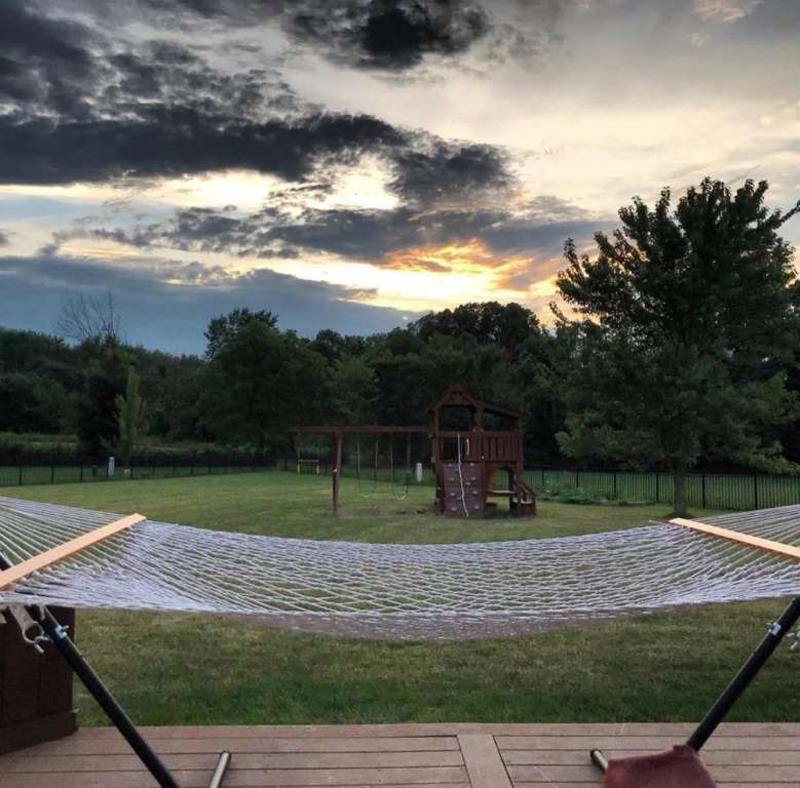 A stand hammock can add comfortable seating space, as well as acting as a divider, creating a visual distinction between different parts of your yard. 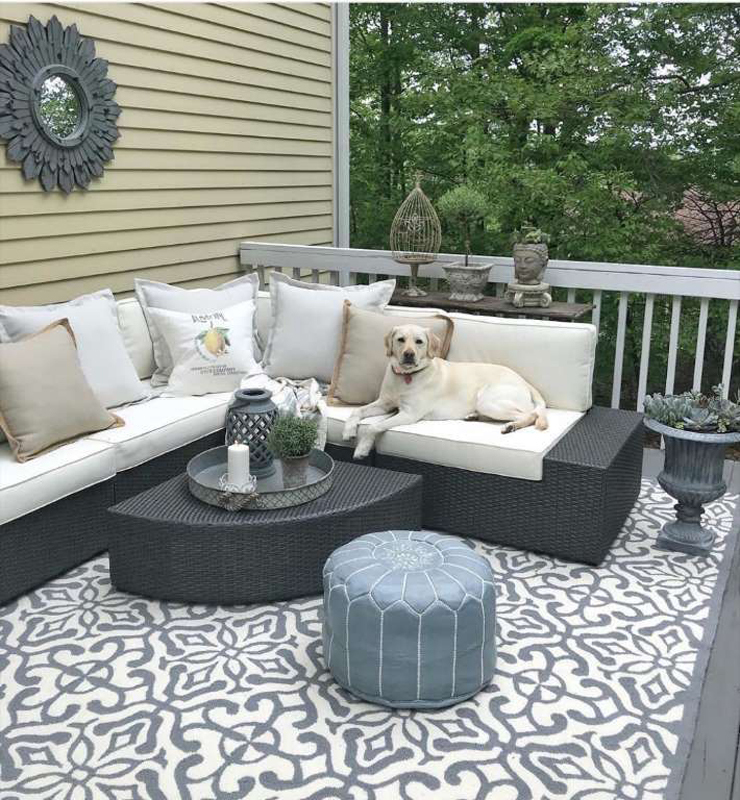 Whether you’re trying to hide a patio that’s looking a bit worse for wear or want to create a designated seating area, there’s no easier way to do so than with an outdoor rug. Unlike traditional indoor rugs, outdoor rugs won’t get waterlogged or bleed dye if they get wet, and their pop of bright color can instantly perk up an otherwise lackluster space. And as a rule: “For a dining area that seats four to six, you need at least 12 by 12 feet, for a grilling area, add another five feet, and for seating or a hangout space, calculate the size of your furniture grouping and add at least a three-foot margin all around,” says Gianna. 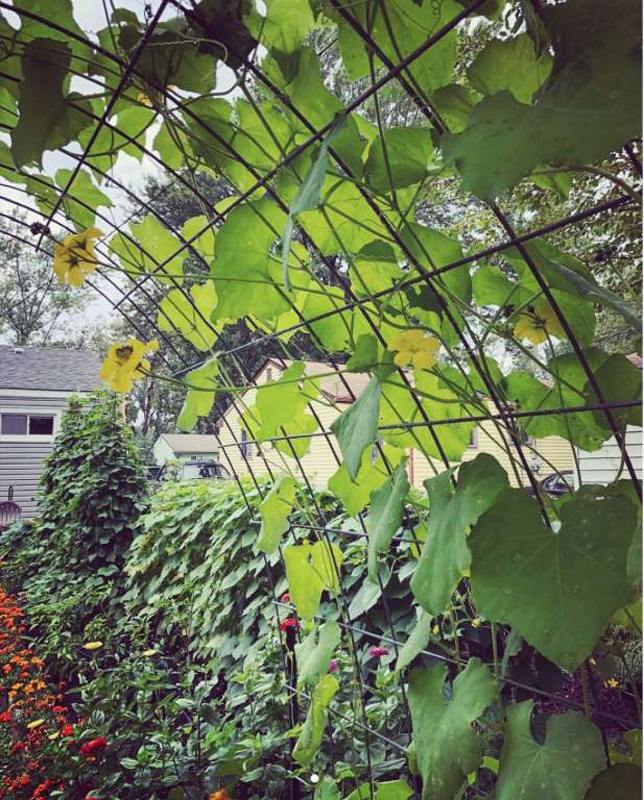 Just because you don’t have much of a green thumb doesn’t mean you can’t enjoy some charming plant life in your back yard. 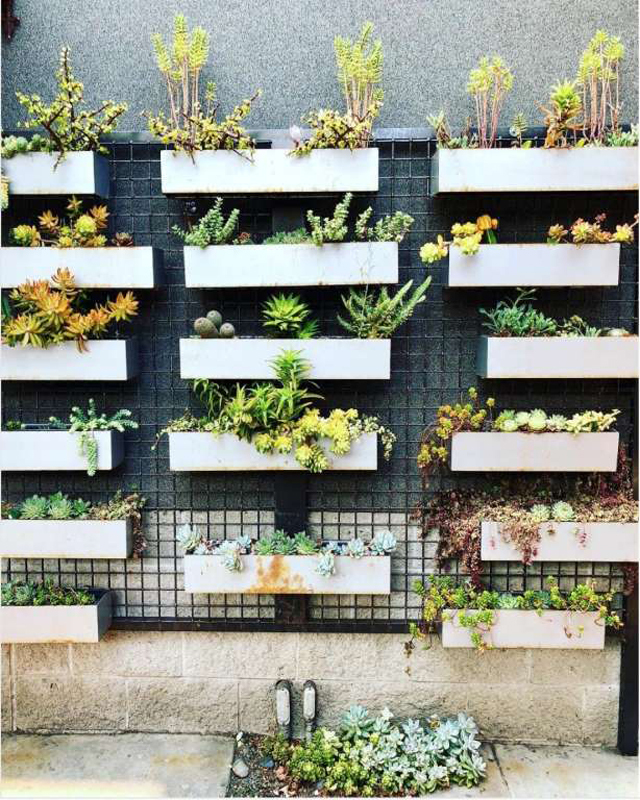 Adding some planters to a bare wall—the side of your shed or an exterior wall on your home, for instance—offers you the perfect spot to add some succulents, brightening up your space with these low maintenance plants. Those humid, buggy nights in the summer can be enough for anyone to swear off spending time in their yard for good. Fortunately, there’s an elegant solution that doesn’t involve an unattractive citronella candle placed smack-dab in the center of your patio table. 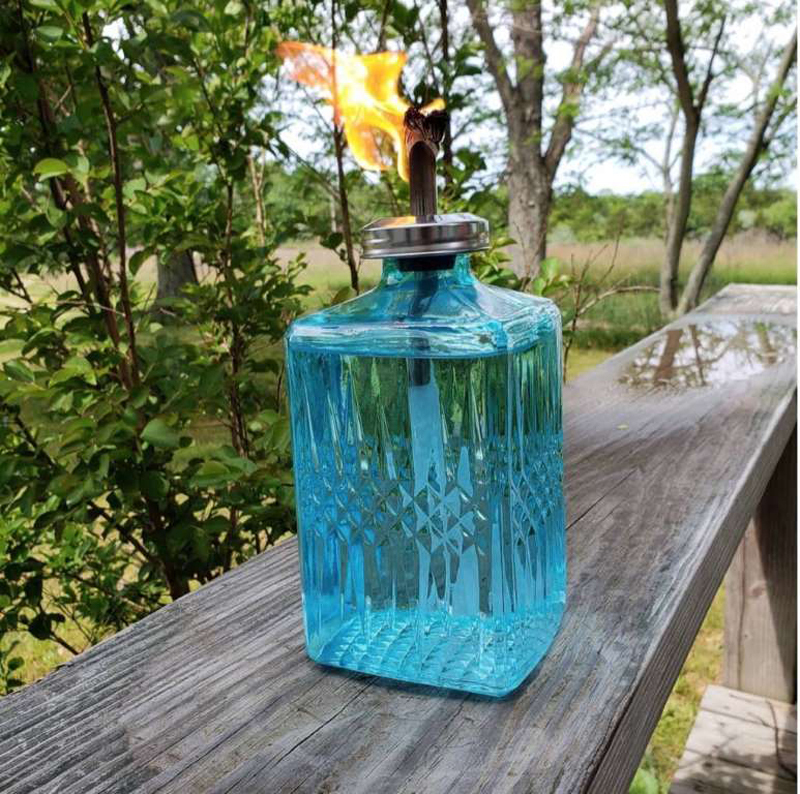 As a more aesthetically-pleasing alternative, use old bottles to create citronella torches and place them around the perimeter of where you’ll be sitting—not only will this cast a pleasant light on your outdoor space, it will keep you bite-free all evening long. Brightly-colored and made with cheap plastic, most outdoor equipment for children doesn’t exactly fit in with a well-designed yard. The good news? It’s easy to create a more elegant alternative with little more than some reclaimed wood and time. Want to add some greenery to your outdoor space, but don’t have much skill as a gardener? Create a planter table instead. Simply remove one of the boards from the center of your picnic table and, using L-brackets, affix a box underneath the hole. 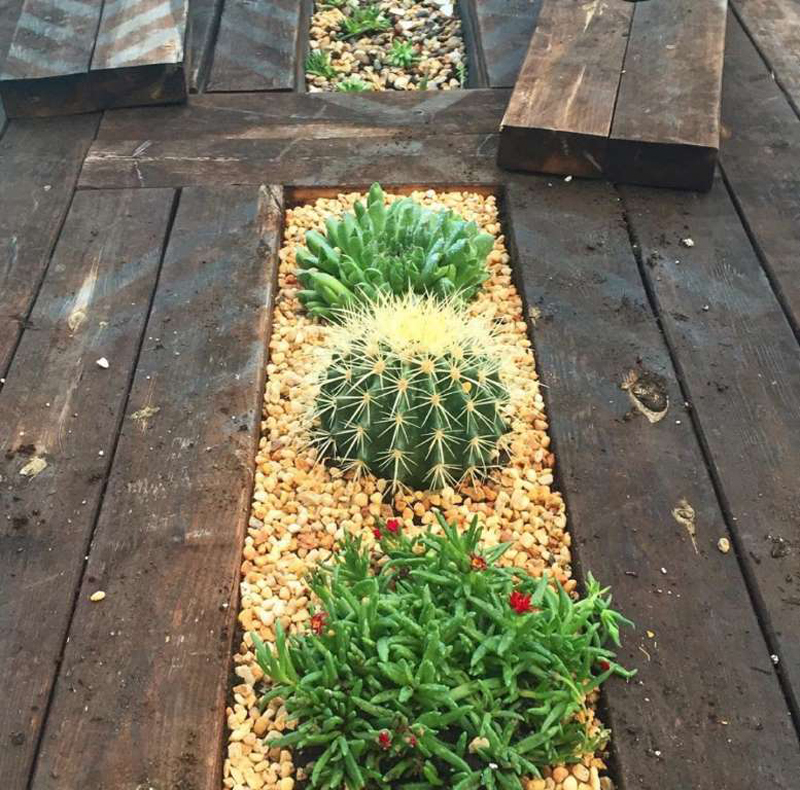 Fill with gravel and succulents and voila! You’ve got yourself an instant upgrade to backyard dinner parties. If you’ve tried time and time again to get grass to grow evenly across your yard to no avail, there’s no need to give up hope. Instead, refresh patchier parts of your yard with raised planters and plants surrounded by colorful mulch. 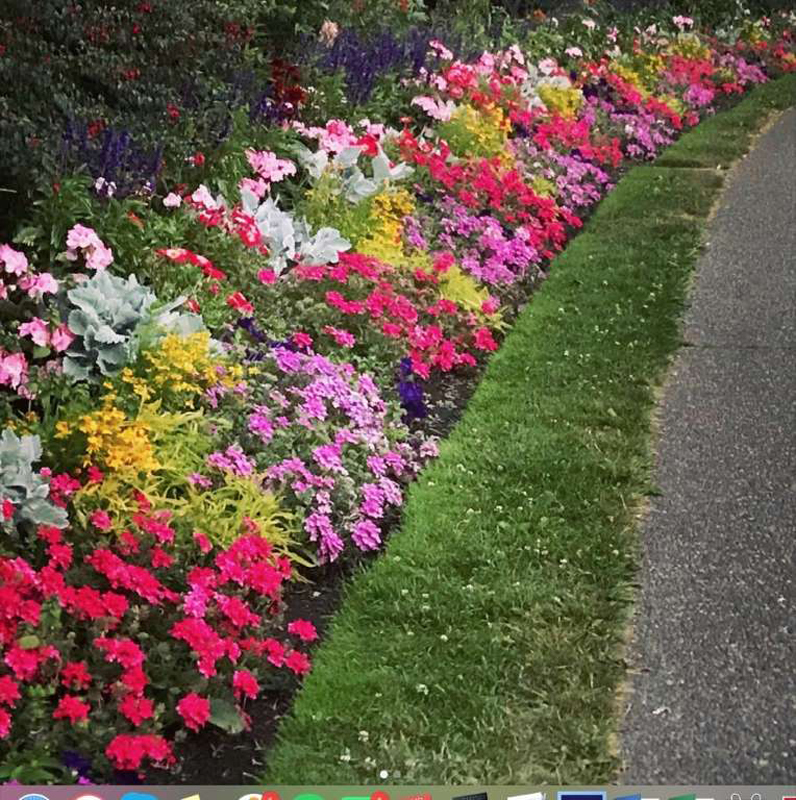 Not only will this cover your spotty greenery, it will add some refreshing pops of color throughout the space while keeping your yard relatively low maintenance.